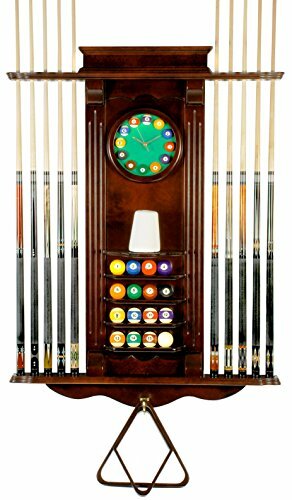 The Fat Cat Combo Cue Rack set has everything you need. 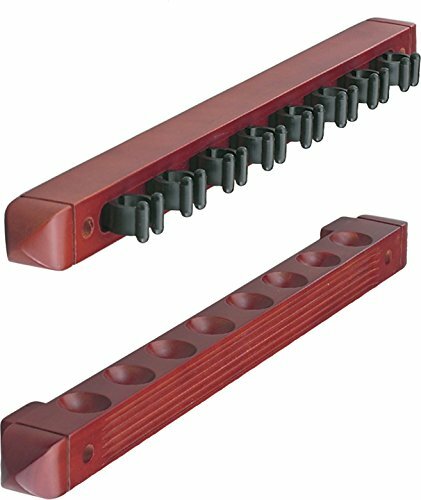 The 4-cue solid pine wall rack easily mounts to the wall, keeping your cues organized and protects them from being damaged. 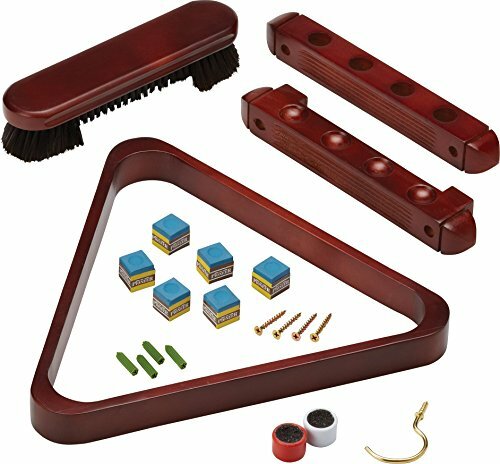 Keep your cue tips in perfect playing shape with the included tip shapers and chalk. 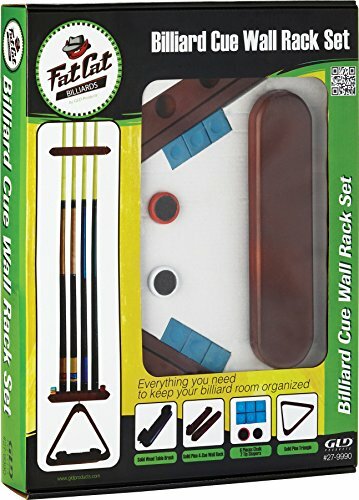 The Fat Cat Combo Cue Rack set features one solid pine triangle rack, one solid wood table brush, one solid pine 4-cue wall rack, six pieces of blue chalk, and two tip shapers.